As soon as spring break comes, everyone seems in a rush for warmer weather. But spring is a beautiful time of year and there are some awesome styles trending right now for spring that I don’t want to miss out on – and I think once you see them, you won’t either. Tie-Dye: I know it seems crazy but tie-dye is back in full swing. These comfy n: philanthropy pieces (from leisure wear to t-shirt) show us how modern tie-dye can be. Tropical Prints: Tropical prints are not the same as tacky Hawaiian shirts! So many brands are going tropical for spring. A few of my favorites include this Apiece Apart jumpsuit and dress by Rococo Sand. Pop of Color: When you think of spring, you usually think of color. This year, think coral. 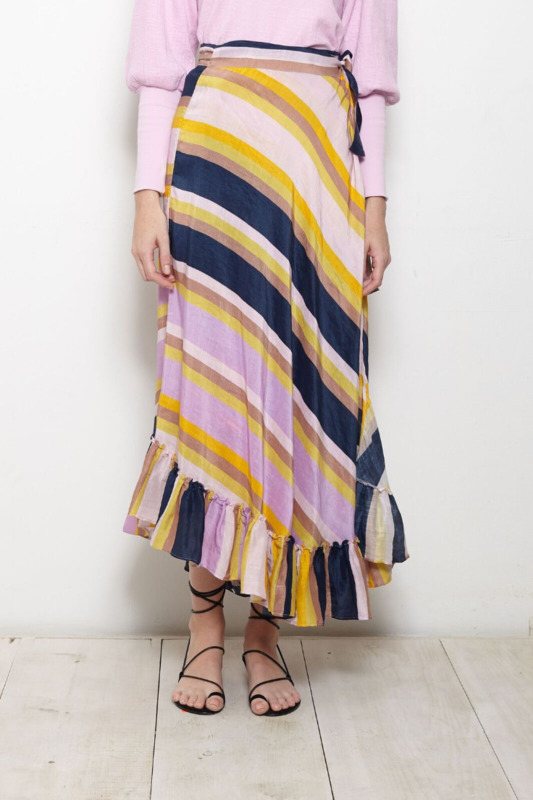 You can pair this Rebecca Taylor top with simple denim to bring out the pop of color or go full-blown color with this gorgeous flowy dress by Seed. Pair it with a neutral sandal and let the dress speak for itself. Skirts: Whether you prefer long skirts or short skirts, they’re an easy piece to wear all season long. I love this long striped one by Apiece Apart and these Rococo Sand shorter ones are great for day or night. The best thing about skirts is that they can easily be dressed down with a metallic sneaker or dressed up with a strappy sandal. Sporty Sandals: Everyone knows I love Dolce Vita sandals, but this new sporty one is particularly cute! The leopard print gives it a little funky flair and the rubber sole means it’s as comfortable as wearing sneakers. I’d wear this with anything from jeans to a long flowy dress to a denim skirt.